Strong, safe and seaworthy, the classic Fisher 34 Mk II has got to be one of the best motor sailers out there. They don't come onto the market too often because the owners find it difficult to let go or to find better. The build quality is excellent, the well laid out accommodation comfortable and they are good passage makers under sail or power. The Fisher 34 ketch is generally regarded to provide the best sailing performance of their Brand and the 62 Hp Volvo Penta MD31A will power you home or away when needed. Planning for an extended voyage away out of UK waters? This example had extensive upgrades in 2016 that included new standing rigging, a new headsail furling system, the main inmast reefing system fully serviced and new LED Nav lights & wiring fitted. She also received new batteries, the gas system was over hauled and she had a new gas certificate in May 2017. A change in personal circumstances has meant that the owner has now decided to sell and he would like to see her go to a good home. Set up for single or short handed sailing, this boat has an excellent Nav fit, comfortable living accommodation with hot/cold water, cabin heating, two double, private cabins and great headroom throughout. Move on to, sail away to or remain at your favourite destination, the choice is yours. 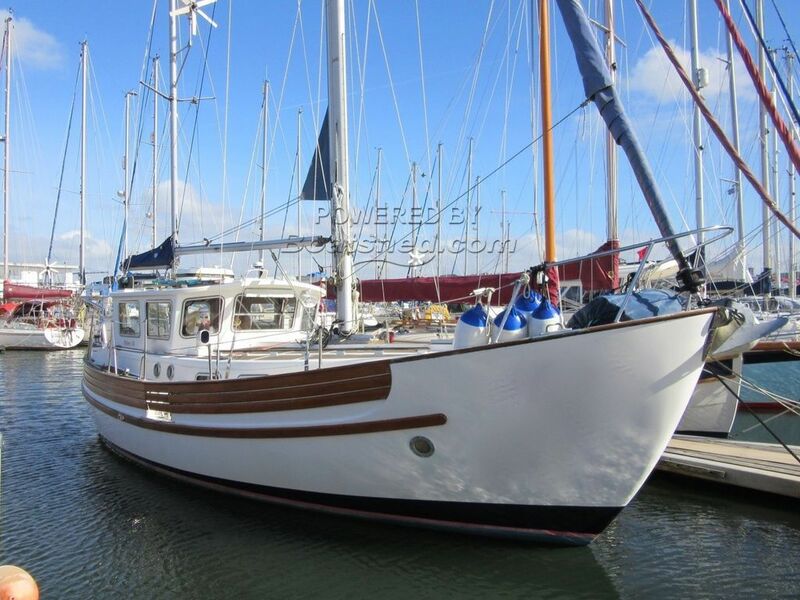 This Fisher 34 has been personally photographed and viewed by Jo & Billy Hallam of Boatshed Plymouth. Click here for contact details.